Women Who Love to Read - April - "Frog Music"
Free! Read the book. Join the discussion. We believe in second chances. Did you miss an Afternoon Book Chat meeting? Can't attend the Afternoon Book Chat during the week? Here's your chance! The Afternoon Book Chat will now offer an "Encore" meeting. We will meet on the Sunday following our regular 2nd Wednesday Afternoon Book Chats. Same book, new discussion, 2nd chance. Come join Sittrea in the Readings Gallery from 1:30-3pm for an OPEN Book Chat. Authors DO NOT attend. Join Sittrea in the Readings Gallery on the second Wednesday of each month at 1:00 for an OPEN Book Chat. Authors DO NOT attend. Bring a latte and enjoy! Everyone welcome. Accomplished writers David Adams Richards, Emma Donoghue, Thomas King and Jacob Scheier read from their latest works. Katrina Onstad hosts. Thomas King is an award-winning novelist, short story writer, scriptwriter and photographer of Cherokee and Greek descent. For 50 years, he has worked as an activist for Native causes and has taught Native literature and history at universities across North America. He was made a Member of the Order of Canada in 2004, and has been nominated for two Governor General’s Literary Awards. King presents both his RBC Taylor Prize-winning book, The Inconvenient Indian: A Curious Account of Native People in North America, and his first literary novel in 15 years, The Back of the Turtle. Katrina Onstad's bestselling second novel, Everybody Has Everything, was nominated for the Scotiabank Giller Prize and the Toronto Book Award. She is an award-winning journalist who lives in Toronto and works in Drama at CBC TV. David Adams Richards is the author of numerous acclaimed works of fiction and non-fiction. Among his recent work, The Lost Highway was shortlisted for the Governor General’s Literary Award for Fiction and nominated for the Scotiabank Giller Prize. The Friends of Meager Fortune won the Commonwealth Writers’ Prize for Best Book, while Mercy Among the Children won the Giller Prize and was shortlisted for the Governor General’s Literary Award and the Trillium Award. He presents Crimes Against My Brother, a brilliant, heartbreaking novel that tackles the theme of debt and what we owe each other. Jacob Scheier is a poet and journalist from Toronto. His debut collection, More To Keep Us Warm, won the 2008 Governor General’s Award for English-language poetry. Scheier’s poems have been published in literary journals and magazines across North America, including Descant, Geist and Rattle, and have been heard on CBC Radio. He presents his latest collection, Letter from Brooklyn, in which he explores themes of love, loss, history, identity, protest and popular culture. He moves from the inner worlds of grief and love to form a poetic dialect between the familial and the historical. Canadian author Emma Donoghue, whose bestselling novel Room was shortlisted for the Man Booker Prize, is set to appear at the Kitchener Public Library on October 30, 2014 at 7pm! She’ll be interviewed by Tasneem Jamal, author of Where the Air is Sweet. This event is free, with seating on a first-come first-served basis. This event is in partnership with the Kitchener Public Library. This event will be held at the South Pasadena Public Library Community Room, 1115 El Centro Street, South Pasadena. Summer of 1876: San Francisco is in the fierce grip of a record-breaking heatwave and a smallpox epidemic. Through the window of a railroad saloon, a young woman called Jenny Bonnet is shot dead. The survivor, her friend Blanche Beunon, is a French burlesque dancer. Over the next three days, she will risk everything to bring Jenny's murderer to justice-if he doesn't track her down first. Emma Donoghue's lyrical tale of love and bloodshed among lowlifes captures the pulse of a boomtown like no other. Event Details (Updated 3/18) - This is a ticketed event. One ticket will be given with the purchase of Frog music ($27.00+tax). Tickets are now available at Vroman's main store Will Call counter and Vroman's Hastings Ranch. If you have any questions, please call (626)449-5320. - Admission and books will be available at the venue the evening of the event, while supplies last. - Doors open at 6pm. Born in Dublin, Ireland, in October 1969, I am the youngest of eight children of Frances and Denis Donoghue (the literary critic). I attended Catholic convent schools in Dublin, apart from one eye-opening year in New York at the age of ten. In 1990 I earned a first-class honours BA in English and French from University College Dublin (unfortunately, without learning to actually speak French). I moved to England, and in 1997 received my PhD (on the concept of friendship between men and women in eighteenth-century English fiction) from the University of Cambridge. From the age of 23, I have earned my living as a writer, and have been lucky enough to never have an ‘honest job’ since I was sacked after a single summer month as a chambermaid. After years of commuting between England, Ireland, and Canada, in 1998 I settled in London, Ontario, where I live with Christine Roulston and our son Finn (12) and daughter Una (9). Emma Donoghue is currently considered a "single author." If one or more works are by a distinct, homonymous authors, go ahead and split the author. 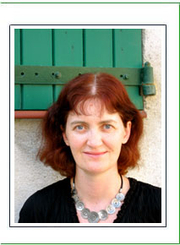 Emma Donoghue is composed of 10 names. You can examine and separate out names.